Please meet my friends Chirp and Tweet. In Spring 2009, when we still lived in upstate, this couple of House Finches resolved to built their nest right on our porch. They took particular interest in an unused lantern in front of our kitchen window. They started to bring all sorts of old grass and green twigs from a nearby white cedar. No matter how hard we tried to discourage them, their resolve was clearly stronger then ours. Soon, behind our lamp there was a substantial nest in the final stages of construction. It was obvious that our porch was taken and occupied. We did not mind much since Chirp and Tweet were also true to their names, every morning and evening they rewarded us with their lovely songs - House Finches are known musicians. Just as we were getting used to the idea that our porch would be taken out of our use through the end of Summer, right before the nest was ready, late one morning, there was a sudden noisy brawl on our porch. A larger dark bird visited their nest looking around; it could hardly fit between the nest and porch ceiling. It was a cowbird - an infamous cuckoo-like nest-parasite. The finches, half of its size, repelled it quickly. Nevertheless, they abandoned their almost-finished nest; it would have been too risky for their future brood. One visit of a cowbird did, what four noisy humans could not do. The House Finches left our porch and moved over to a nearby thick bush. There they brought up their family, singing and warbling around our house while we listened from our porch for the rest of that summer. Now, this Sunday, in the Gospel reading (Matthew 10:29) it looks like Jesus stuck a price tag of one penny on two sparrows. Is it possible that he behaved like that, wielding a price-sticker gun and labeling everything around? My own experience with Chirp and Tweet screams NO, I would not have sold them even for millions! And the Greek rhetorical grammar as well as broader gospel context makes it clear. Jesus was not any crazy capitalist monetizing everything left and right! God does not measure value by money like so many in our world do! 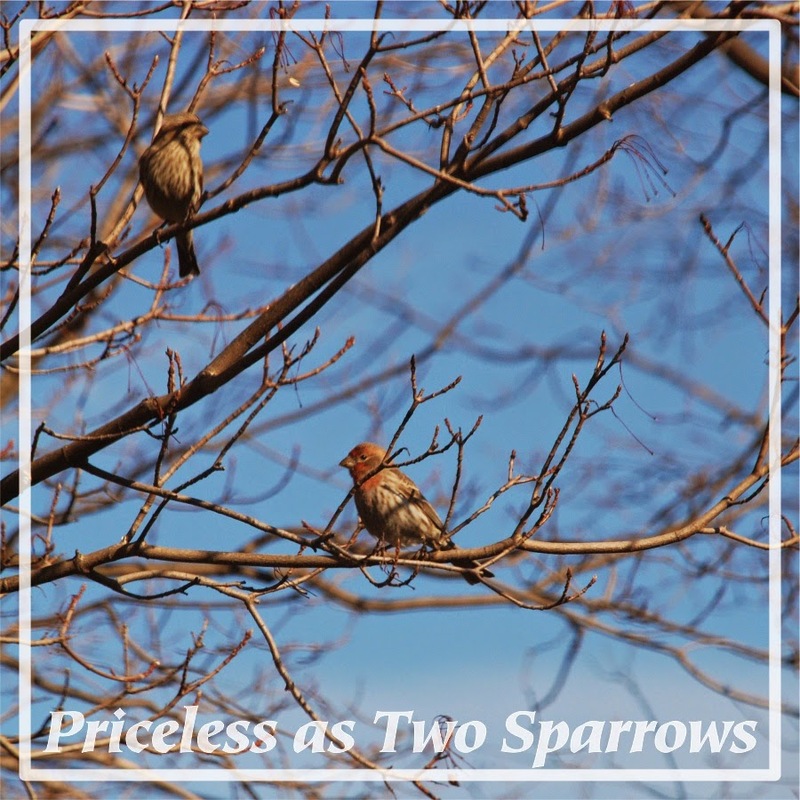 Come this Sunday to celebrate the priceless value of two sparrows. Come to celebrate the priceless value of so much more in God’s sight! Divine Guitar? Yes indeed, and literally so! There were times in the Ancient Near East when Guitar really was a god. True, he is not named precisely Guitar, but Kinnaru - but that is just phonetics. Both of these names share the same linguistic root together with, say, kithara or zither. And if there was any doubt about Guitar’s pre-biblical divine nature, a liturgical text (KTU 1.148) prescribes for him a sacrifice: “A ram for Guitar/Kinnaru” - just imagine that feast! And the offering might be substantially richer, but the text is unfortunately broken. In ancient times this personification and even deification of a musical instrument was the way to acknowledge and celebrate the spiritual power of music. In the Hebrew Bible itself there are still some weak echoes of a deified guitar in Psalm 57. And to this day we use word “music” which is indeed derived from Muses, Greek goddesses of divine inspiration. This is again a subliminal reminder of the spiritual importance of inspired music. 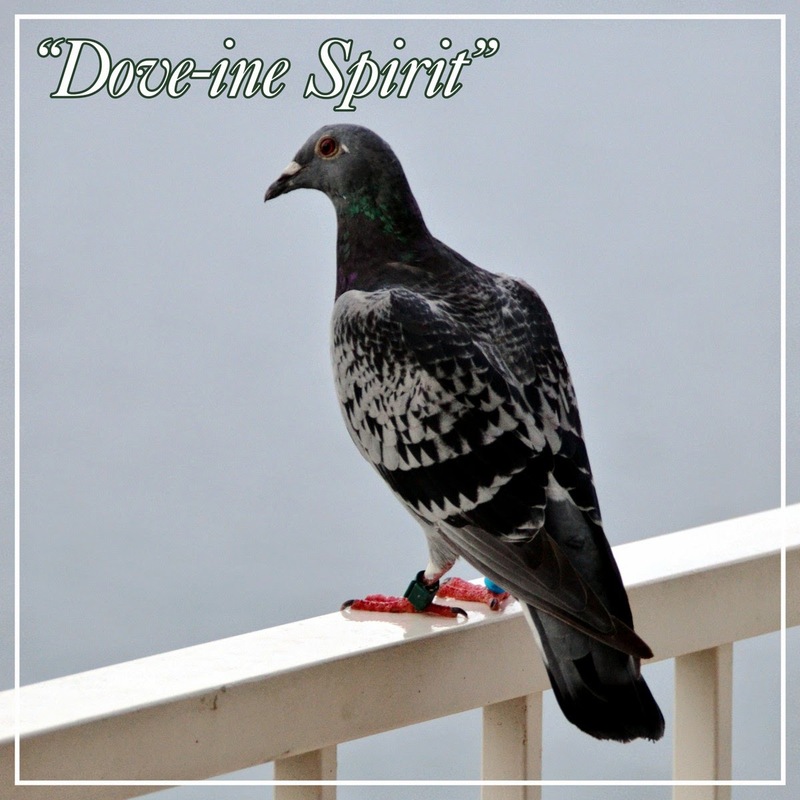 This Sunday we will not sacrifice a ram to the divine Guitar (god Kinnaru) nor will we offer any libations to the Muses, but on this last Sunday with our choir before summer we will celebrate the gifts our choir shares with us and we can share with them - divine gift of inspired and inspiring spiritual music making. Come and join us. The other day I overheard my wife’s Skype conversation with her mother. They were paging together through our internet-based photo-album from our recent mountain climbing holidays. At one point the software did not work as expected and my frustrated mother-in-law started to argue with it. I realized that the Swedish anthropologist Alf Hornborg is right. He claims that we really never became modern Cartesian people who reserve subjectivity to persons. For instance we give names to our automobiles, or we talk even to such fuzzy man-made realities as cloud-based software... in a word we personify inanimate objects. Let us be honest, we all do it, I know I do. And so while pre-modern people were animists who personified plants and animals, and perhaps rivers, springs and forests, modern people became fetishists (in a nonsexual, anthropological sense) who eagerly personify our own mechanical toys and electronic gadgets. We cannot help it, it is in our genes, and driven by our innate need to relate. Over several centuries we became alienated from nature and more and more we are becoming alienated even from one another. We hand ourselves over to our own devices (metaphorically but, sadly, also literally). We deny spirit to nature and project it to our own machines. On this Pentecost Sunday we will look for help in ancient scriptures; perhaps the liberating breeze of the divine spirit can reorient our wounded relating from machines to the living again. I do not know about you, but I am tired of all our modern alienating technological fetishism, I would rather be a postmodern Christian animist re-learning to relate to God, other people and wide nature through Spirit.